Average White Band began work on their sixth studio album during 1977. According to the liner notes for AWB’s 2014 box set All Of The Pieces, the band were creatively exhausted after their first four studio albums-in particular the hugely successful later three of them. Hamish Stuart, Alan Gorie, Roger Ball, Steve Ferrone and company first recorded a duet album with Ben E. King. Seeing that collaboration could rejuvinate their sound, the band brought in guitarist Cornell Dupree (from Stuff) with a number of NYC session musicians for their 1978 release Warmer Communications. “Your Love Is A Miracle” is a straight up wah wah guitar powered number-with the in the pocket Family Stone inspired horn charts, “duck face” bass popping, Steve Ferrone’s stop/start funky drum and (vocally) low leads and falsetto harmonies. “Same Feeling, Different Song” has the classic AWB horn style based off the JB’s. The rhythm, tempo and lead guitar comes out of the same vibe. But the liquid rhythm guitar of the refrains come out of the later 70’s sound more. “Daddy’s Come Home” benefits from Dupree’s crying bluesy guitar tone and the organ based country/rock style balladry of the song itself. “Big City Lights” takes a straight up bass/guitar oriented uptempo funk number-focusing heavy on the horn charts that are often combined with a round synth bass tone for an even bigger sound. “She’s A Dream” is a jazzy melange of bass, guitar with melodic and creamy horn charts playing a medium tempo ballad. The title track lays down a groove that combines the grooves of funk with the repetitive chugging of reggae. “The Price Of A Dream” is a melodically strong sophistifunk styled number-again based heavily in the vocal harmonies. “Sweet & Sour” is sleek yet heavy horn funk instrumental before the album ends with “One Look Over My Shoulder”. This is the song I remember most off this album for some reason. It has one of the most singable, hit oriented choruses. But the percussive mid tempo groove allows the horns to hit in all the right places. And make both the instrumental and vocal focuses of the song stand out equally. 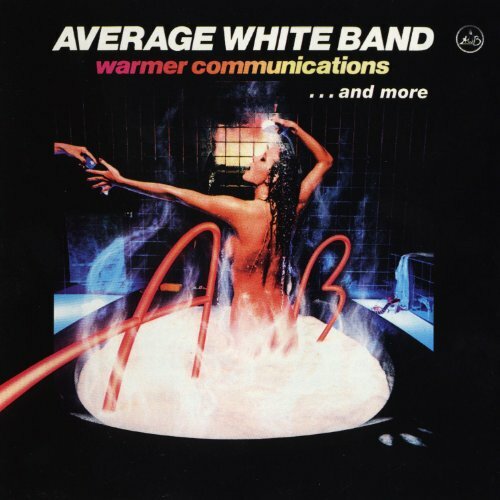 Musically speaking, Warmer Communications covers pretty familiar territory for AWB. And session players like the Brecker Brothers did make for strong writing and musicality as intended. Where Warmer Communications might’ve been somewhat problematic had to do with changes in music among funk bands during the late 70’s. Between 1977 and 1979, the larger horn funk bands such as Earth, Wind & Fire, Tower Of Power, Kool & The Gang and the JB’s were beginning to update to the more high tech production style of the disco era. AWB’s production approach didn’t change in the late 70’s, even as their writing and playing remained strong. They’d rectify this (with controversial results) in the early 80’s. Still, Warmer Communications remains one of the bands strongest late 70’s albums.